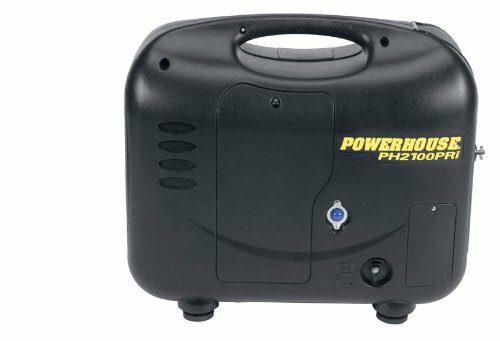 Powerhouse Products introduces the PH2100PRi portable inverter generator. 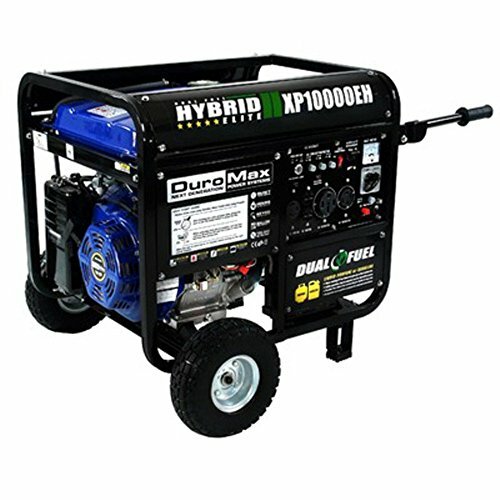 The PH2100PRi has a 4.35 HP engine for a maximum output of 2100 watts. 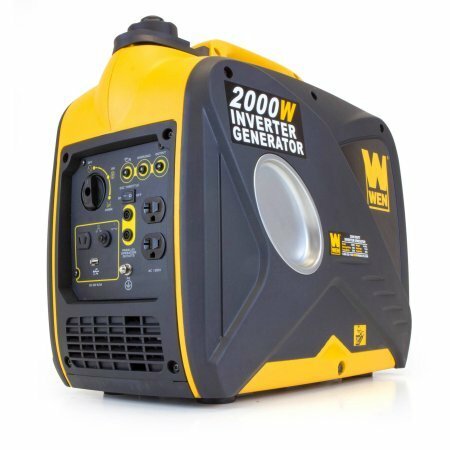 Using an optional parallel kit, this parallel-ready generator can be combined with another PH2100PRi to produce a maximum output of 4,200 watts. A convenient fuel primer bulb and automatic choke ensures a fast start. 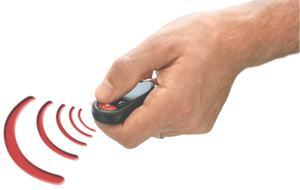 A remote start up to 75-feet is also a standard feature. The engine can be set to run at variable speed for fuel economy as power demands or at constant speed for 100% full power. 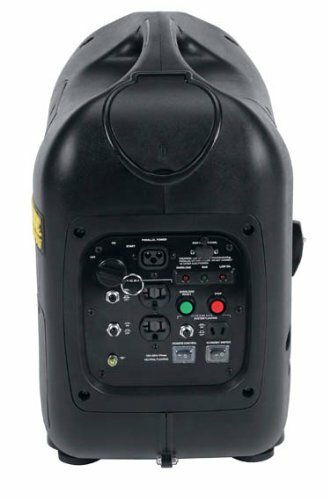 Other standard features include an engine-reset button that will automatically restart the engine if the unit shuts down due to inverter overload, one 5-20R 20 amp duplex receptacle, internal circuit breaker, emergency stop control, and a convenient carry handle. Continuous run time (hr) Full load; 3.0 hrs; 1/4 load; 7.5 hrs. EPA, CARB and CETL compliant. The PH2100PRi comes with an oil jug, 12V charge cable, spare spark plug, spark plug wrench & handle, oil drain extension, spare 10A glass tube fuse, user�s manual, keys and remote. 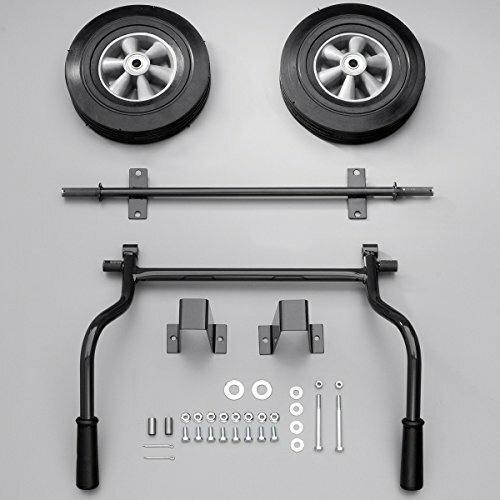 Includes 2-year consumer warranty, 1-year commercial warranty. 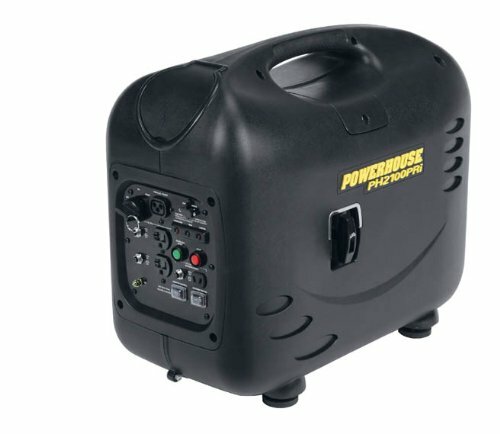 Offering an excellent combination of features and value, the Powerhouse PH2100PRi inverter generator provides clean, quiet portable power that’s perfect for both campground as well as job site. 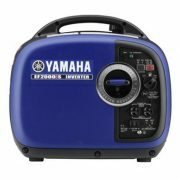 Its 4.35-horsepower engine produces a maximum of 2100 watts, while the integrated inverter technology makes it safe enough to power delicate electronic equipment. 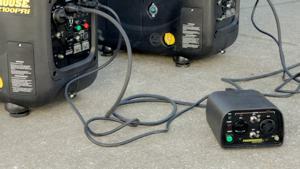 And with the remote start capabilities, you can get your generator started from up to 75 feet away. Easily portable for use on outdoor excursions (see larger image). Parallel ready for using two compatible Powerhouse generators to boost your power (see larger image). 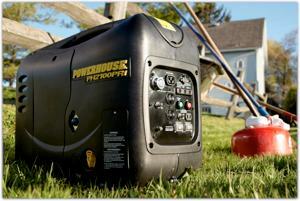 Start your generator from up to 75 feet away with included remote (view larger). 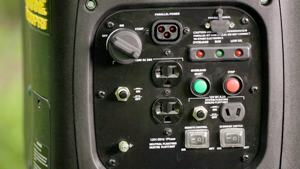 See larger image of all panel outlets and controls. The parallel-ready PH2100PRi inverter generator can use an optional kit to connect two compatible Powerhouse generators to provide extra power. 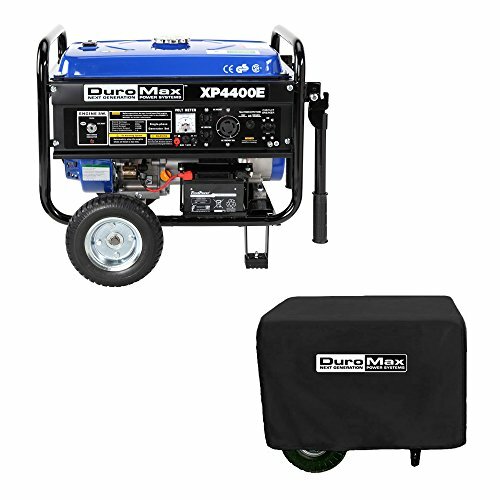 For example, you could connect two PH2100PRi models for 4000 watts, or pair the PH2100PRi with a PH2700PRi generator for 4600 watts of total power (generators and parallel kit sold separately). The four-stroke, single-cylinder engine (125cc) can be set to run at variable speed for fuel economy as power demands or at constant speed for 100 percent full power. A convenient fuel primer bulb and automatic choke ensures a fast start. It includes an engine-reset button that will automatically restart the engine if the unit shuts down due to engine overload, and an internal circuit breaker. This inverter generator has one 5-20R 20-amp duplex receptacle. It’s backed by a 2-year consumer warranty and a 1-year commercial warranty, and it’s EPA, CARB, and CSA compliant for use across North America. Where conventional generators produce a single square wave of AC power for every engine rotation, an inverter generator produces a clean sine wave just like that power from your home outlets with hundreds of overlapping AC sine waves per engine rotation that results in more electrical power produced from each rotation. 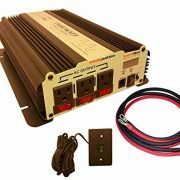 The electronic processor in the inverter module “converts” three-phase, high-frequency AC power from the alternator into DC power, which is then changed by the inverter module to a clean and stable 120-volt, 60-hertz AC power signal. The technology programmed into the inverter allows it to control all functions of the generator for stable, consistent, clean power. This clean sine wave power allows the generator to be used with any and all computer and electronic based appliances in today’s homes, businesses, construction sites, and outdoor recreation. 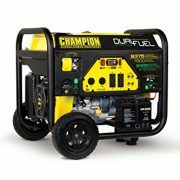 An added benefit is the ability of these generators to produce 120-volt, 60-hertz current at various engine speeds, thus saving fuel running at slower speeds and low load conditions but with the power for full speed and output when needed.